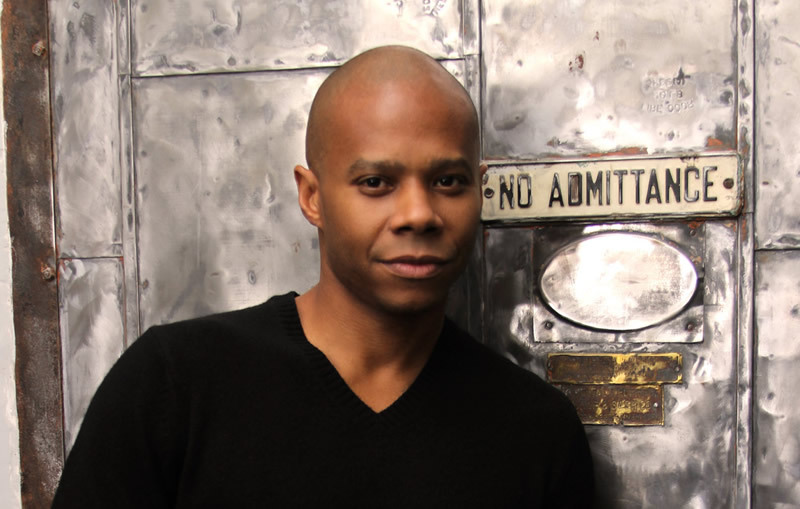 Music producer Sonix “The Mad Scientist” was called “the best music producer in the game” by DMC of famed rap group Run/DMC. Working with artists from David Bowie to Barry White and Rolling Stones collaborator Sugar Blue, the accomplished musician/producer has had a hand in some of the most sophisticated releases in the industry. More recently, Sonix has turned his attention to Rockademix, a new 501c3 educational nonprofit that uses music to teach academics. Sonix will be producing several original Rockademix songs, including the math-themed hip-hop tune ‘Fractions Rock’ and ‘Apollo 13’ which gets kids excited about science and engineering. Prior to us embarking to Los Angeles for production, we reached out to the producer to interview him about this unique collaboration. ROCKADEMIX: What can you tell us about the scene where you’re from, and how it has it influenced your musical career? SONIX “THE MAD SCIENTIST”: I was born in NYC and raised in the New York, Connecticut, and New Jersey Tri-State Area. The scene influenced me greatly. Being a musician in that scene encouraged me to be highly versatile and well-rounded. Absorbing different styles and types of music, entertainment, and culture has given me an advantage in both music and business. ROCKADEMIX: When did you first start making music, and how did you decide that it was something you wanted to pursue full time? SONIX “THE MAD SCIENTIST”: Music for me started at a very early age. I began beating on my mother’s pots and pans from the time I could crawl. In school, I took every class and participated in any and everything to do with music. By seven years old I was onto my second instrument and began to work with groups, choirs and churches. I also realized that I didn’t want to wait to have to make music that I wanted to create, so around ten years of age I started composing and sequencing my first musical tracks. At thirteen my teacher introduced me to poetry. I didn’t take to poetry, but it gave me the idea to start writing my own songs. So I studied songwriting and song arrangements. By sixteen I knew I wanted to be a music producer and songwriter. “Sonic” was in reference to the sound effects I would often use in my music. So I started using Sonic, then others started copying my name, so it morphed into Sonik, Soniq and finally I went with Sonix. Artists that I have had the privilege to work with would see and hear me work and would often say, “You are like a mad scientist!” because of my ability to wear all of the hats in the studio. I would produce, write, sing, rap, and be the arranger, composer, sole musician, and also engineer and manage all of the technical aspects myself. ROCKADEMIX: You’ve done an incredible job of creating amazing productions and working with award winning artists and big major recording labels from the likes of David Bowie, DMC (RunDMC), Barry White, Atlantic Records, etc. What initially drew you to being involved with Rockademix? 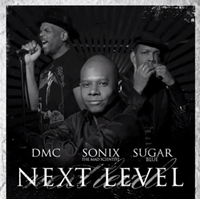 SONIX “THE MAD SCIENTIST”: I released a project called “Next Level” with rapper DMC (RunDMC) & blues musician and harmonica player Sugar Blue, who used to play with the Rolling Stones. I was interviewed for a magazine and became friends with the writer and he told me about Jon Schwartz and this amazing educational project called Rockademix. I met Jon in person and he discussed his vision for the project and I knew I had to get involved. Ironically, before meeting Jon, the fact that music and the arts had been taken out of the public school system was bothering me and had been racking my brain for months. I wanted to find a solution but I couldn’t think of anything. I often reflected on where I would be without music and without the nurturing I received musically and educationally in school. ROCKADEMIX: I know you’re really passionate about the Rockademix program. Can you talk about its significance for kids? SONIX “THE MAD SCIENTIST”: The significance for kids is that there are many fundamentals and opportunities for kids to explore and learn from the arts that have been taken away. Kids learn coordination, rhythm, timing, and how to project; it also helps with kids confidence, and it makes learning fun, while keeping children focused and engaged on the academic curriculum. ROCKADEMIX: What was it about the Rockademix song “Fractions Rock” that clicked with you? SONIX “THE MAD SCIENTIST”: What clicked for me about the “Fractions Rock” song was the groove and the fun aspect of the composition. I felt that I could take the song into a different dimension. ROCKADEMIX: As you know, Rockademix uses music to teach kids academics. What was your favorite subject in school and what do you think it would have been like to learn about it through music? SONIX “THE MAD SCIENTIST”: My favorite subject in school was math. I didn’t like history or english very much; Rockademix would have made it a lot more interesting and compelling. ROCKADEMIX: What do you hope this project will achieve? SONIX “THE MAD SCIENTIST”: I hope this project gets the attention of the educators throughout the nation and they realize how important and incredible this new learning system is so it can be used in more schools throughout the US. ROCKADEMIX: What else can we expect from Sonix “The Mad Scientist” in the coming months? Any projects of yours on the horizon? SONIX “THE MAD SCIENTIST”: I am currently working on my Producers project “Reloaded 1378” set for release at the end of the year, Maya Azucena’s new full length LP project “Unleash Me”, a new single with my bandmate Sugar Blue called “Blues Man”, and I am also coproducing and developing, and Hosting a TV show… And ETC :). We’d like to thank Sonix “The Mad Scientist” for taking the time to talk to us and for being a part of helping kids learn academics.